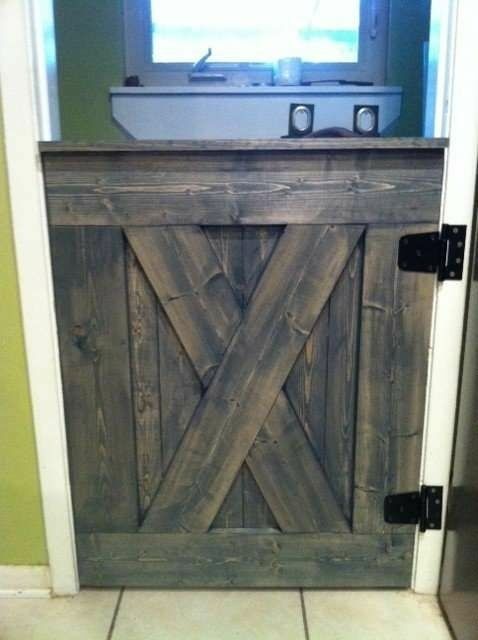 Custom built Dutch-style door with locking latch in back for safety. Available in a range of finishes and hardware, this reclaimed wood gate is a stunning combination of form and function. Great for pets too!